The Zhongyi MFT Lens Turbo II (LT2) focal reducer adapts EF, FL/FD, G, SR/MC/MD, and M42 lenses to MFT bodies, reduces the focal length by a factor of 0.71, and increases the effective focal ratio by about one stop. For example, it converts a 28/2.8 into a wider and faster 20/2. Unfortunately, my example also gives strong flare in common situations. The flare can be reduced by using baffles. This works well with the New FD 28/2.8, and I am fairly confident it will work well with other wide, slow, prime lenses. Baffling might more difficult for zooms and for longer and faster primes, as adequate protection against flare will likely give more vignetting. I have noticed that the FD-to-MFT LT2 focal reducer gives a strong flare when there is bright light just outside the field. This makes the lens almost useless in many situations. 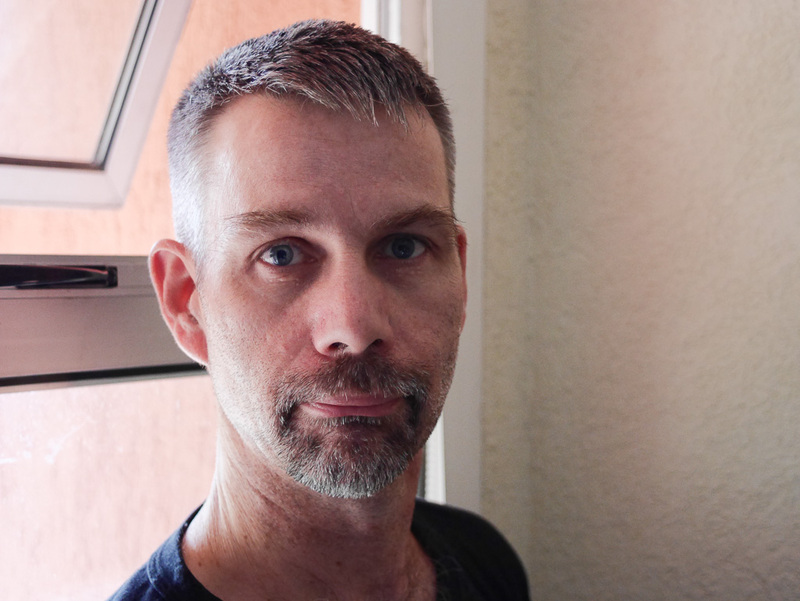 Here is an example, in which I’m using a Panasonic GM5 body and a Canon New FD 28/2.8 lens on an unbaffled LT2 to photograph myself. 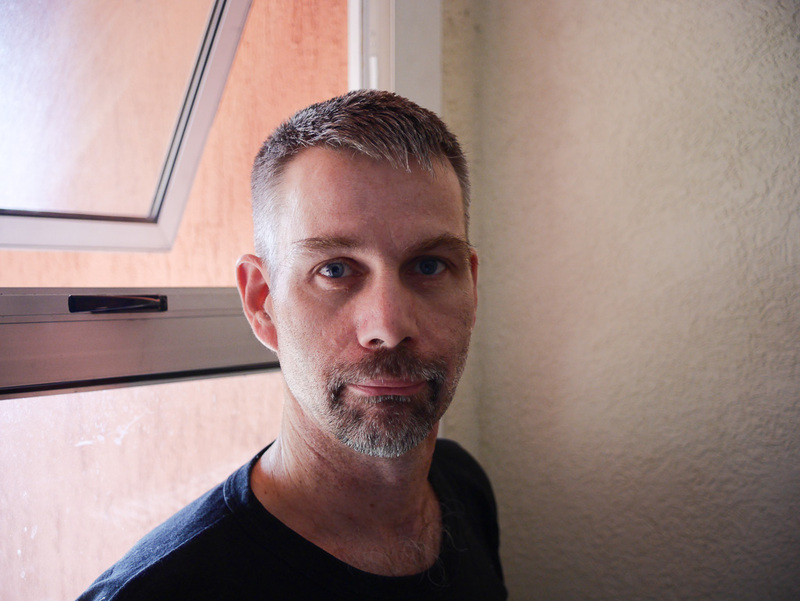 I have a window behind me and to my right, with the opening to the sky just out of the frame. The image shows strong flare and is essentially unusable. Taken with a New FD 28/2.8 mounted on a GM5 using an unbaffled LT2 focal reducer. There is strong flare over the right side of my face. 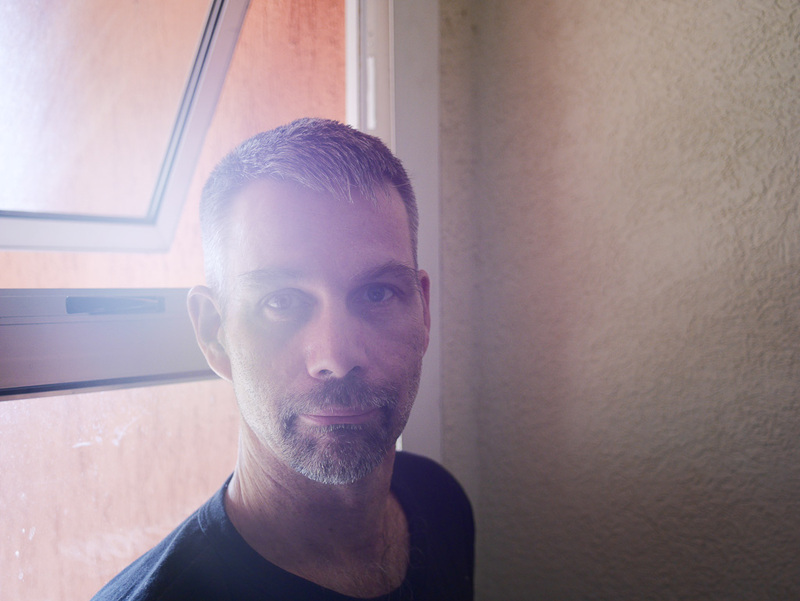 Photographing someone next to a window is not an extreme situation; this flare is a real problem. I’m showing an example here with the Canon New FD 28/2.8, but I’ve also seen similar flare with the Canon New FD 35-70/3.5-4.5, 50/1.4, and 100/2.8. That said, other users of the MFT L22 report that they do not see this problem in similar circumstances. It may be that there is some variation in the manufacture of MFT LT2s, with some showing this problem and other not. The flare doesn’t arise in the adapted lens. I can demonstrate that by repeating the photograph above with a plain adapter. Taken with a New FD 28/2.8 mounted on a GM5 using a plain adapter. The absence of flare here points to the LT2 rather than the adapted lens as the origen. This image was taken just after the previous image and without moving the camera. Rather, the flare arises from grazing reflections off surfaces within the LT2 lens barrel. These appear to be internal reflections at the edges of the lens elements. The photograph below shows an unbaffled New FD 28/2.8 on a FD-MFT LT2. The lens is pointed at a window to the left. The bright arcs on the right of the LT2 lens barrel are the reflections of the window light. These reflections illuminate the sensor and cause flare. An unbaffled New FD 28/2.8 on an FD-MFT LT2 viewing a scene with a bright window to the left. The bright arcs on the right of the LT2 lens barrel are grazing reflections of light from the window and will cause flare. I note that even when these surfaces are not illuminated by a dominant bright source, they will be illuminated by any source within or close to the field. This is shown in the following photograph of an unbaffled New FD 28/2.8 on a FD-MFT LT2 imaging a uniform scene with no bright sources close to the field. The first bright ring around the lens aperture (the one that is brightest to the right rather than the left) is from grazing reflections in the LT2 lens barrel. These reflections will lead to haze and lower contrast, even if there is no obvious flare. An unbaffled New FD 28/2.8 on an FD-MFT LT2 viewing a uniform scene. The first bright circle around the lens aperture is caused by reflections in the LT2 lens barrel and will cause haze and loss of contrast. The reflections are caused by a combination of three things. 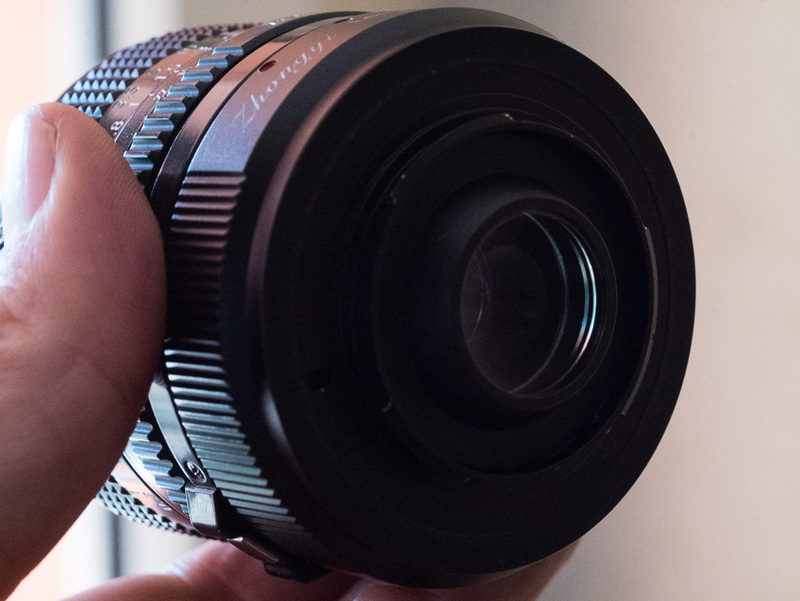 First, the adapted lens is designed to illuminate the 43 mm diameter field of 35-mm-format film, and so over-illuminates the roughly 30 mm diameter equivalent field of the focal-reduced MFT sensor. Second, the LT2 lenses are undersized with respect to the output beam of the adapted lens. Finally, the LT2 lens barrel is not adequately engineered against grazing reflections. I have only the FD-to-MFT LT2, but I suspect this problem will also occur with the other LT2s for MFT, regardless of the adapted lens mount, since the lens barrels in the focal reducer are all very similar. 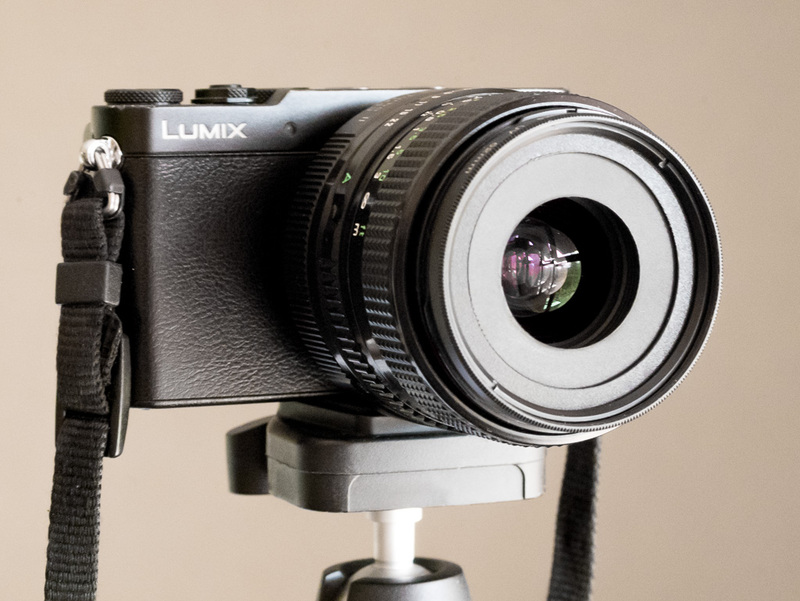 The LT2s for Sony E-mount and Fuji X-mount are optically and mechanically quite different from the LT2s for MFT, so it’s not clear whether they will also suffer from this problem. The flare and haze can be largely eliminated using two baffles. The inner baffle goes between the rear element of the adapted lens and the front element of the LT2. Its job is to shade the LT2 lens barrel from light relatively close to the optical axis. The outer baffle goes in front of the front element of the adapted lens. Its job is to shade the LT2 lens barrel from light beyond the field seen by the sensor.  Ideally, the holes in both baffles should be as small as possible without vignetting the field seen by the sensor, but this may not always be possible. In particular, the relatively small optics of the MFT LT2 already vignette the sensor with some adapted lenses (typically at longer focal lengths), and adding the inner baffle will reduce the effective diameter of the optics still further. The outer baffle may also cause vignetting. The vignetting will probably be less at shorter focal distances and slower apertures. In general, larger inner baffles require smaller outer baffles to fully shade the lens barrel and vice versa. So, there is some room to explore different tradeoffs between effective shading and vignetting. Here, is an example of the effectiveness of the baffles. First I repeat the image from above with no baffles and the strong glare. Then I show the effect of the baffles in reducing the glare. New FD 28/2.8 mounted on a GM5 with an unbaffled LT2 focal reducer. New FD 28/2.8 mounted on a GM5 with a baffled LT2 focal reducer. The baffles are a 14.5 mm inner baffle and a 26 mm diameter outer baffle. They almost completely eliminate the flare seen in the previous image. This image was taken just after the previous image and without moving the camera. 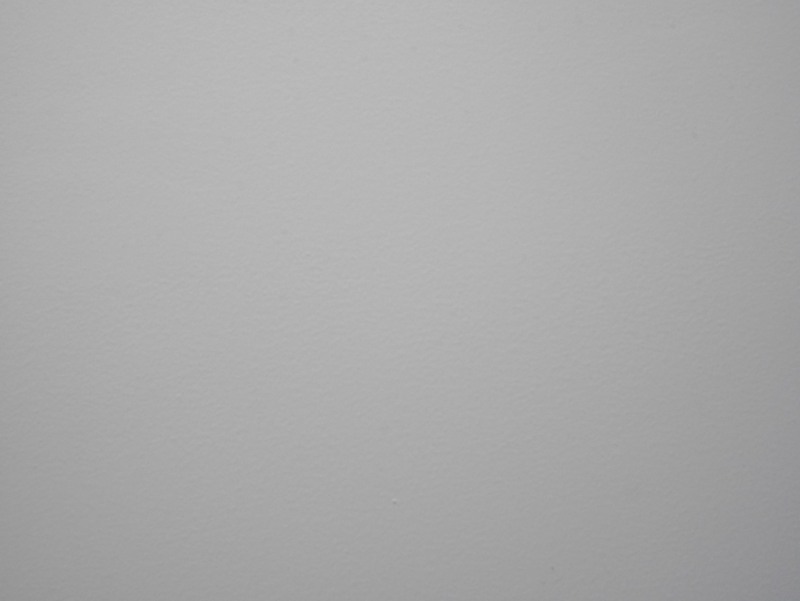 As the following photos show, these baffles cause slight vignetting wide open and at the closest focal distance, but the vignetting is negligible when the lens is stopped down and focused at infinity. It will also be negligible in 1:1, 3:2, or 16:9 aspect ratios. Vignetting of the New FD 28/2.8 on the LT2 without the baffles described here. Vignetting of the New FD 28/2.8 on the LT2 with the baffles described here — wide open and at the closest focal distance. There is some vignetting in the corners. Vignetting of the New FD 28/2.8 on the LT2 with the baffles described here — at f/11 on the adapted lens (f/8 at the sensor) and infinity focus. The vignetting is negligible. I had the baffles laser-cut from thin black plastic, but with care you can cut them with a craft knife. Thinner plastic is better, since it reduces the glancing reflections off the cut edge. I cut different diameter holes, to allow some experimentation. I cut circular holes, but rectangular holes might work better. To separate the inner baffle from the front element of the LT2, I cut two spacers from 2 mm soft foam board. These are placed snuggly around the barrel and then the inner baffle is placed on top of them. I had to cut both the baffles and the spacers along a chord to give space for the FD lens stop-down lever; other mounts might need similar accommodations. My separators and masks are a sufficiently tight fit that they do not need additional support, but if they did I would consider using small pieces of masking tape to hold them in position. The LT2 and the components of an inner baffle. On the right are the two spacers cut from 2 mm thick foam. On the left is the baffle cut from thin plastic. The spacers and baffle have a segment removed to accommodate the stop-down lever on the lens. An inner baffle mounted on the LT2. I mounted the outer baffle in a filter ring after unscrewing the retaining ring and removing the filter glass. I used Amazon Basics UV filters which cost about $5 each. I had to add a spacer ring cut from plastic so that the mask would be centered and held tightly by the filter retainer. These outer baffles have the advantage of being very compact compared to lens hoods. The New FD 28/2.8 lens and the components of an outer baffle. On the left, the baffle and spacer cut from thin black plastic. 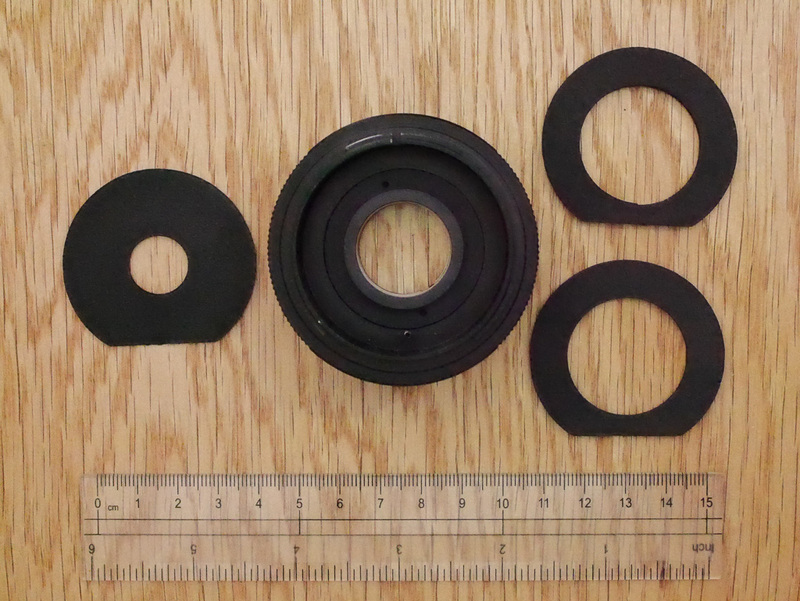 On the right, the filter ring and the filter retainer. An outer baffle mounted on the New FD 28/2.8. GM5 with a baffled FD-MFT LT2 and New FD 28/2.8. The compact outer baffle mounts on the filter thread. If you move the adapted lens from the LT2 to a plain adapter, you do not have to remove the outer baffle. If it doesn’t vignette badly with a focal reducer, it won’t vignette badly with a plain adapter. To determine the best sizes, I place the camera on a tripod imaging a uniform wall with the lens set to the widest aperture and closest focus distance. These settings give the most likelihood of vignetting. The wall doesn’t have to be in focus. I then try different inner baffles until I begin to notice vignetting. Once I have determined the appropriate size of inner baffle. I remove the lens and LT2 from the camera, illuminate them from behind, view them from the front, and determine the largest size outer baffle that just prevents me seeing the reflective parts of the lens barrel. I then mount the LT2 on the body again and check vignetting. Often, some iteration is necessary. For example, for my New FD 28/2.8, I find that I get no vignetting with an inner baffle of 18.5 mm diameter, slight vignetting with one of 16.5 mm, and slightly more with one of 14.5 mm diameter. With the 18.5 mm inner baffle, I need an outer baffle of 12 mm diameter to shade the LT2 lens barrel, and this causes severe vignetting. 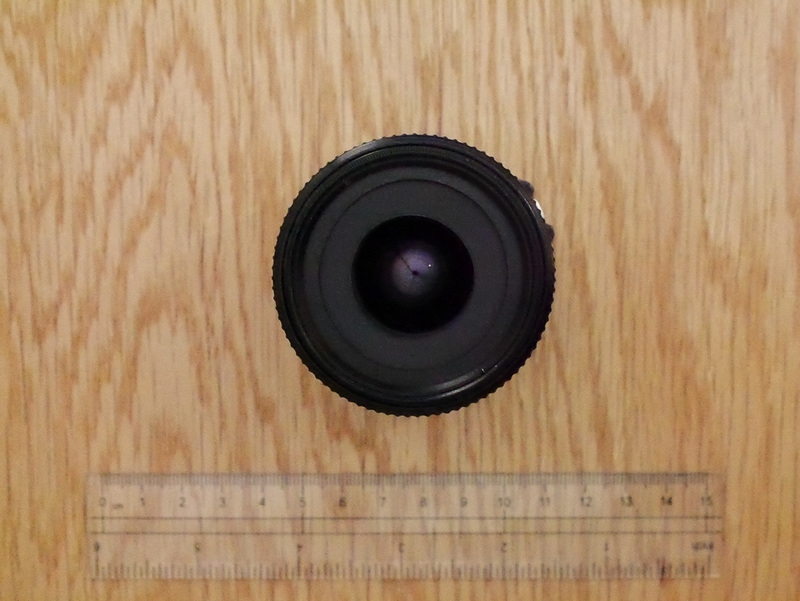 With the 16.5 mm inner baffle, I need an outer baffle of 15 mm diameter, and again this causes severe vignetting. With the 14.5 mm inner baffle, I only need a 26 mm diameter outer baffle, and this almost perfectly shades the LT2 lens barrel with only quite slight vignetting. In my opinion, this is the best compromise. 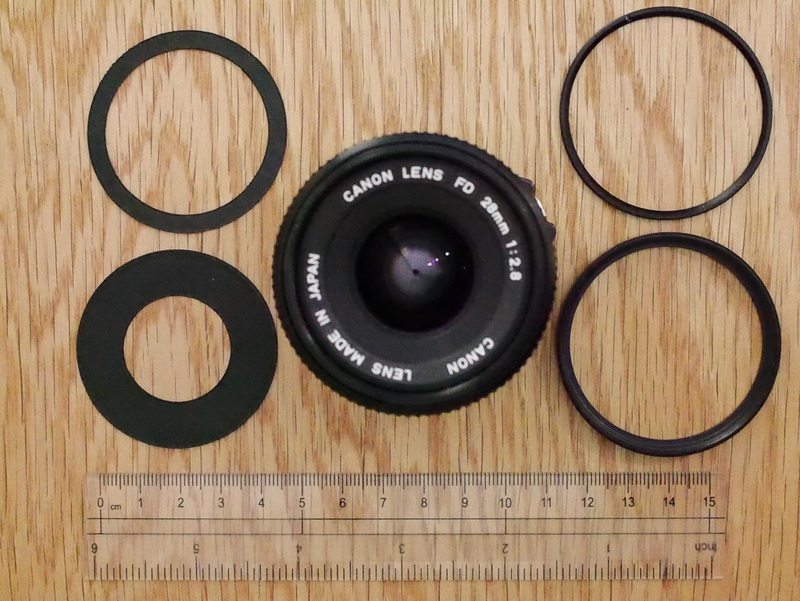 Other lenses need different sizes. For example, I think the best compromise for my New FD 50/1.4 is a 16.5 mm inner baffle and no outer baffle and the best compromise for my New FD 100/2.8 is an 18.5 mm inner baffle and a 30 mm outer baffle. Of course, instead of an outer baffle, one could use a lens hood. However, to fully prevent flare it has to be fairly precisely tuned to shade the LT2 lens barrel. For example, with my New FD 28/2.8, I need to mount my Fotasy 52 mm standard metal hood on two empty filter rings to extend it sufficiently to shade the LT2 lens barrel. This baffling scheme works well with my New FD 28/2.8, and I am fairly confident it will work well with other wide, slow, prime lenses. Baffling longer and faster primes, which are already susceptible to vignetting, is more difficult without introducing even stronger vignetting. My experience is that it is difficult to find a combination of inner and outer baffle diameters that give a zoom good protection from glare and only slight vignetting over all focal lengths. For example, on my New FD 35-70/3.5-4.5, I find an inner baffle of 14.5 mm diameter gives no vignetting at 35 mm and 50 mm and only slight vignetting at 70 mm. 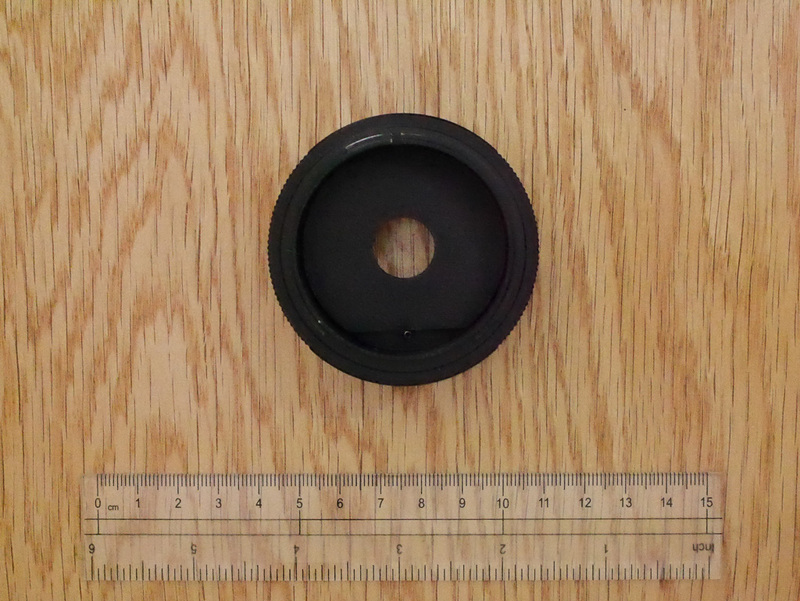 A 12.5 mm diameter inner baffle gives severe vignetting at 70 mm. With the 14.5 mm diameter inner baffle, if I then add an outer baffle of 28 mm diameter, I get no vignetting at 50 and 70 mm and only slight vignetting at 35 mm. 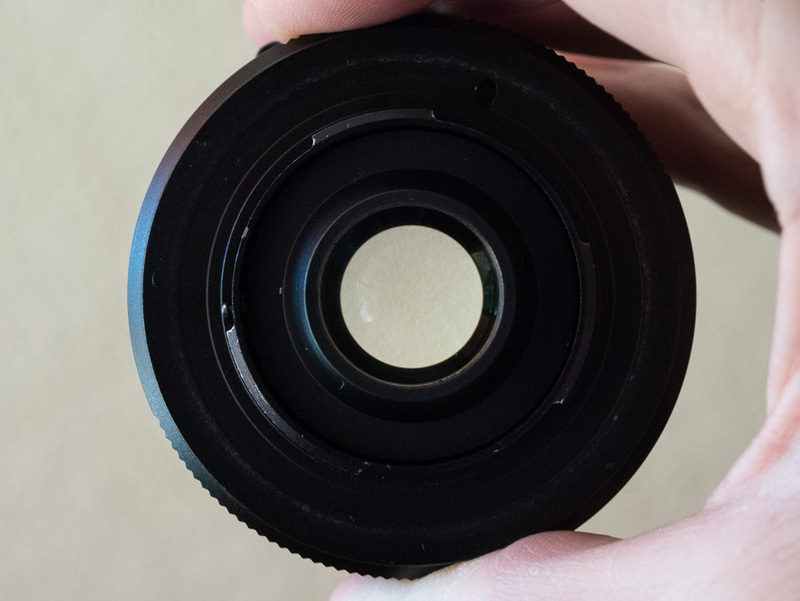 A smaller outer baffle gives worse vignetting at 35 mm. This combination — 14.5 mm diameter inner baffle and 28 mm diameter outer baffle — gives no vignetting at 50 mm, only slight vignetting at 35 and 70 mm, and good protection against flare at 35 mm and 70 mm, but has much weaker protection against flare at 50 mm. To give good protection at 50 mm, I need either a tighter inner baffle (which will vignette more at 70 mm) or a tighter outer baffle (which will vignette more at 35 mm). For example, a 24 mm diameter outer baffle works well at 50 mm and 70 mm, but vignettes quite strongly at 35 mm. One can accept the vignetting. One can crop the vignetting, either by using 1:1, 3:2, or 16:9 aspect ratios in-camera or in post. One can carry two outer baffles, one permanently mounted and then another tighter one to be mounted in case of flare. One can try to avoid the worst flare by shading the lens manually. Finally, one can just avoid the problematic focal lengths. None of these options is entirely satisfactory. Ernst Dinkla suggested using rectangular baffles to reduce unwanted light still further. This sounds like an excellent idea, but I’ve not yet had a chance to try it. Since the ratios of the edges of a MFT sensor to the diagonal are 4:5 and 3:5, if a circular baffle has a diameter d, then a good starting point for a rectangular baffle would be 0.8d × 0.6d. My baffles were laser-cut by Alex Farah. I am grateful to the participants of the DPReview Adapted Lens Talk forum for discussion on flare and baffling.